« Which Postpaid Call Plan (With Data) By Major Telcos In Malaysia Is Best For You? The face of retail has certainly changed from even a decade ago. According to Retail Week, there are artificial intelligence displays being tested right now. These kinds of displays may be soon coming to a store near you. But for now, you want to make sure that you are doing all you can to make your POS stand out from the rest so that you are able to get the sales. Below are some tips and suggestions from Business 2 Community that you can use to help with making your POS displays stand out from the rest. A bold, bright design is going to attract your customers’ eyes. Use compelling, large designs that match the theme of your product. Play with contrasting, bright colors that are hard to ignore. 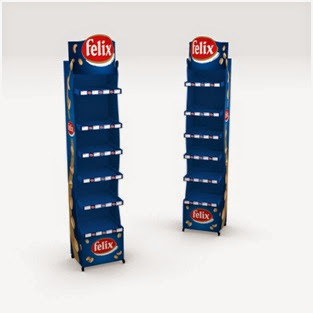 Be sure that the display you have is standing out from the other POS efforts for merchandising. Tell your customers up front about the benefits they’ll get when they buy your product. This will create desire. Put in something that calls for action like “Pull Here” or “Buy Now’ so that you’re motivating immediate sales. Include a coupon that they can tear off so that they can immediately use it or use it in the future so that you’re promoting future sales. This can be a coupon that gives them an item for free when they purchase the item. If your products can work with other kinds of products that are on the same shelf as your item, including coupons for the other items can also be a good idea. Show customers who are happy and enjoying the products as they are intended, and be sure your models are fitting the image that the customer base will want to achieve. You can also use illustrations to demonstrate to your customers how your product is used. Visuals like these can help make desire. Put your products against the POS competitors using visuals like graphs and charts to show why people should choose your product rather than the competitor’s product. Use images and colors for dividing the different items by flavor and then personalize your items when it’s possible. Rather than saying “cherry” say “for cherry lovers”. This copy change is very subtle but it’s also powerful. Another good example would be the energy drinks you often see at checkout. If you have different types of drinks, you might divide them depending on their strength. When you have personalized POS marketing, you are going to have more effective marketing. If the can be used with some similar products in your same line, include these items to upsell. This can be done using coupons, but they also can be put on your display. If your POS products will require some time to think about or if customers might need more information, print up some flyers or brochures to put on your display so customers are able to take the information with them and maybe share the information with other people. Augmented reality visuals and QR codes allow your customers to interact with your POS display using a mobile device. For example, you might want to put a QR code on your POS display which takes your customers to videos which offer an improved sales pitch and more information. Place a screen atop of your POS display so that it can play an advertisement for the products, provide some more information, and attract the attention of people. You can also make the POS display interactive which will take your customers through a short quiz which will reveal the item on your display which will best fit their lifestyle. A good example of this is the Dr. Scholl’s display that helps people figure out which of their inserts will work best. Retail Wire recently compared two different cereal POS displays for the same cereal product to find out which of the displays would compel customers the most to buy the items on the display. The small changes that were made in the display made a huge difference. If you would like your POS display to be powerful tools for marketing, incorporate the tips above into its design. This will help your POS displays to be much more compelling which will help you increase sales. If you are in need of a new POS system for your business, visit Shopify and see what they have to offer for you. They have plenty of great tools for your business and you will have a great company to deal with. Subscribe RSS 2.0 feed. Both comments and pings are currently closed.